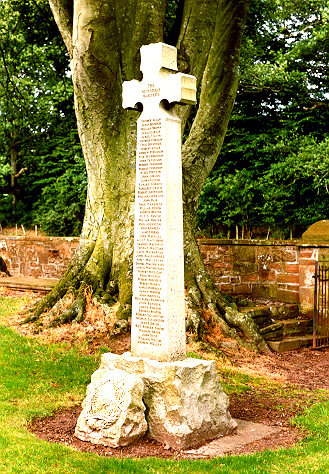 A white granite cross located just inside the kirkyard gate lists 57 Covenanters from Nithsdale who were martyred for their beliefs. The monument was erected at the instigation of Rev James King Hewison, author of The Covenanters (1913). The memorial was erected in 1928. In front of the monument is a lesser stone from admirers in Australia.